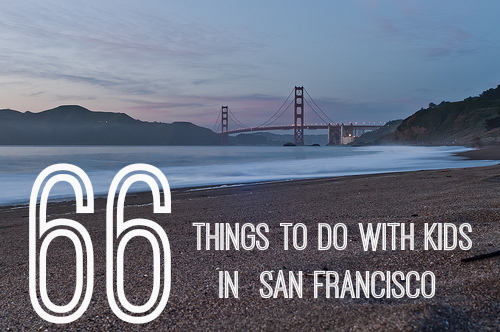 There are TONS of things to do with kids in San Francisco! Whether you want to see nature, a historical landmark, kid-friendly foods, live performances, shopping, or children museums…San Fran has it all! See some of the many local options below to get your kids out for the day in this wonderful city! Visit this one of the largest museums of natural history in the world. Enjoy this park in the Richmond District neighborhood, located north of the intersection of Lake and Funston. Visit this island in San Francisco Bay that offers expansive views of the San Francisco skyline. Visit this greenhouse and botanical garden that houses a collection of rare and exotic plants in Golden Gate Park. Visit this restaurant and tiki bar in the Fairmont San Francisco hotel. Visit this oldest surviving structure in San Francisco and the sixth religious settlement established as part of the California chain of missions. Visit this fleet of historic vessels, a visitor center, a maritime museum, and a library/research facility. Enjoy the breathtaking view of this suspension bridge spanning the Golden Gate strait, the mile-wide, three-mile-long channel between San Francisco Bay and the Pacific Ocean. Visit this 210-foot tower in the Telegraph Hill neighborhood of San Francisco. Have a glimpse of this large-scale camera obscura and is listed on the National Register of Historic Places. Visit this small and historic island located in the San Francisco Bay. Offers a tropical and festive atmosphere with live entertainment, dancing and a rain storm. Enjoy baked goods made with organic flour and local eggs. Try this popular Mexican place that’s been around for years. Try this seafood restaurant and has been for over 160 years. Visit the home of hearty breakfasts, top-rated hamburgers, and classic soda fountain desserts. Visit the San Francisco waterfront restaurant steeped in a family history of quality and service. Enjoy their salami, great rolls and of course delicious sandwiches. Visit this little Italian town in Sn Francisco. Visit this largest and oldest such enclave in the United States. Enjoy this vegan restaurant that offers an international menu and an enjoyable atmosphere. Enjoy this Dim Sum restaurant in Chinatown. Enjoy this down to earth micro brewery restaurant . Visit this landmark with shops and restaurants in the Fisherman’s Wharf area of San Francisco, California. Visit this full-service restaurant, specializing in cheesecakes for dessert. Visit the home of original Samusa Soup, Rainbow Salad, and Burma Cooler! Treat Your Loved Ones to The Gift of a Great Dining Experience. One of the foremost circus schools in the western United States. Great wholesome entertainment for the whole family. Historic luxury hotel located on Powell and Geary Streets on Union Square in San Francisco, California. A Balao-class submarine, was a United States Navy ship, the only one named for the pompano fish. A two hour walk with several haunted places, many ghost stories, and even some magic. Regular visitors to our bird feeder. Practical and comfortable neighborhood with a citywide reputation for fantastic restaurants. A fortune cookie company located in the Chinatown neighborhood of San Francisco. Free museum in the Nob Hill neighborhood of San Francisco. Designated scenic road tour highlighting much of San Francisco. Don’t dare to miss to see those 270 wax figures. Offers museums and attractions in multiple countries focusing on odd and amazing things. A California art museum that specializes in the art of comics and cartoons. Among the largest museums of natural history in the world. The heart of Golden Gate Park and offers environmentally-friendly boat rentals. A park and former military base on the northern tip of the San Francisco. Enjoy biking at Sausalito with the family. A large urban park consisting of 1,017 acres of public grounds. This is an incredible help for crafts, art, and various other projects on a budget. San Francisco independent bookseller, 38 years in business. Go fly a kite, it is fun to relax half day in the warm Autumn sun.